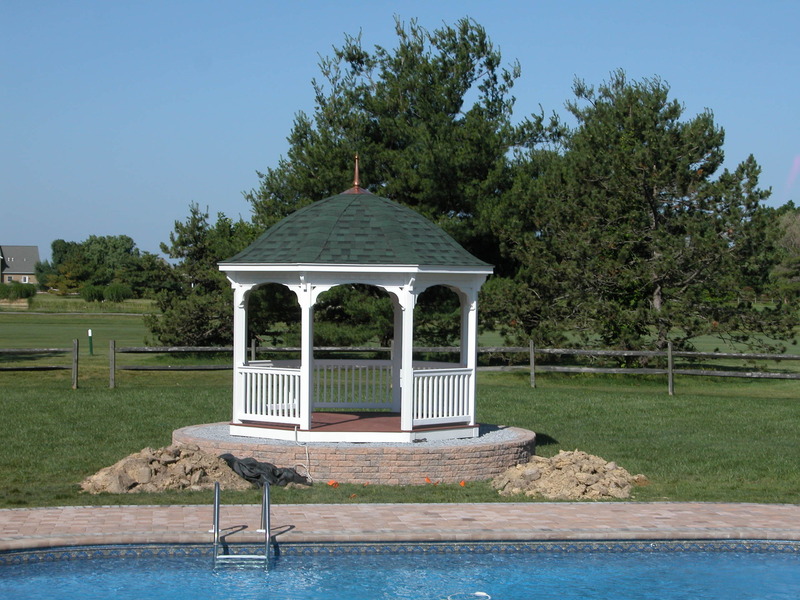 Our Amish-built, oval gazebos are an excellent addition to any outdoor space. Our Amish craftsmen build these structures to provide quality, timeless style. 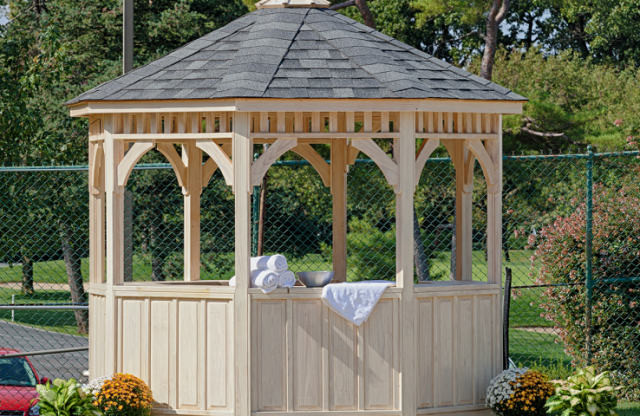 Choose from a variety of colors, styles and sizes to meet your specifications. 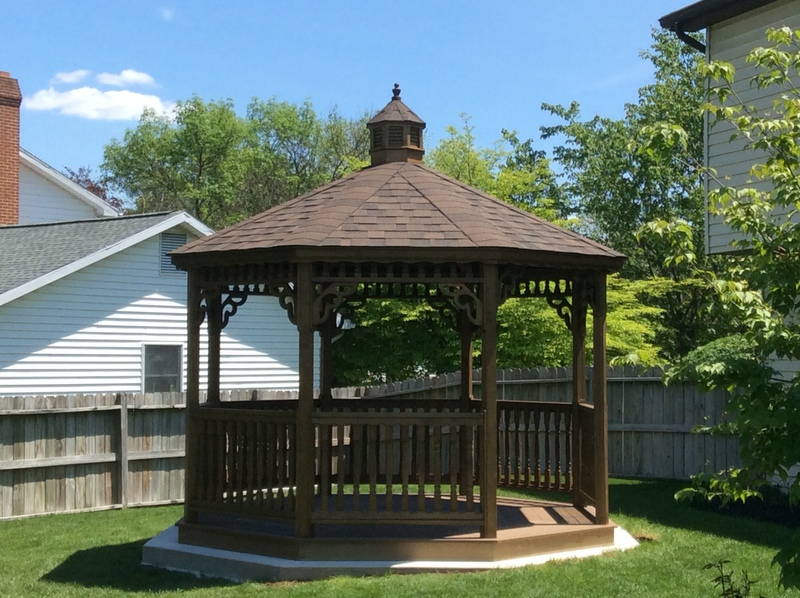 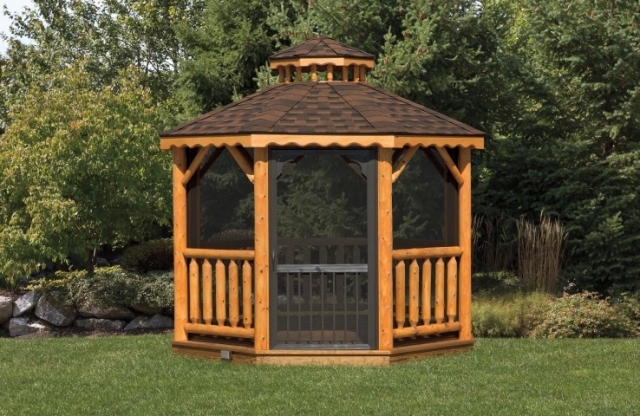 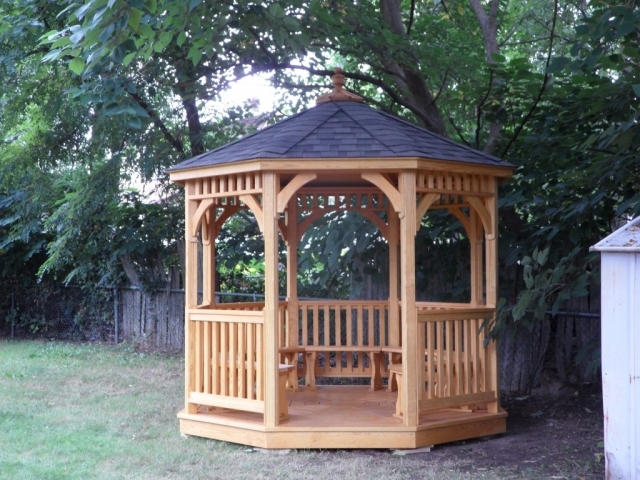 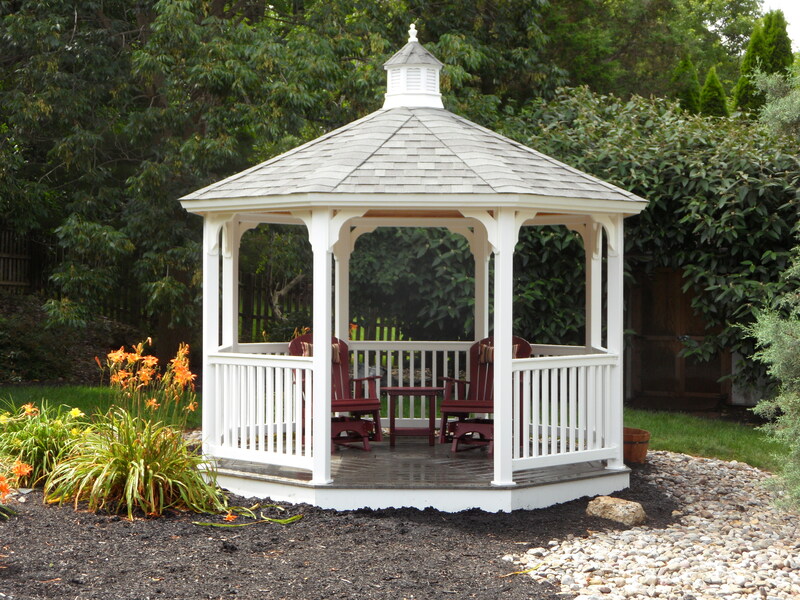 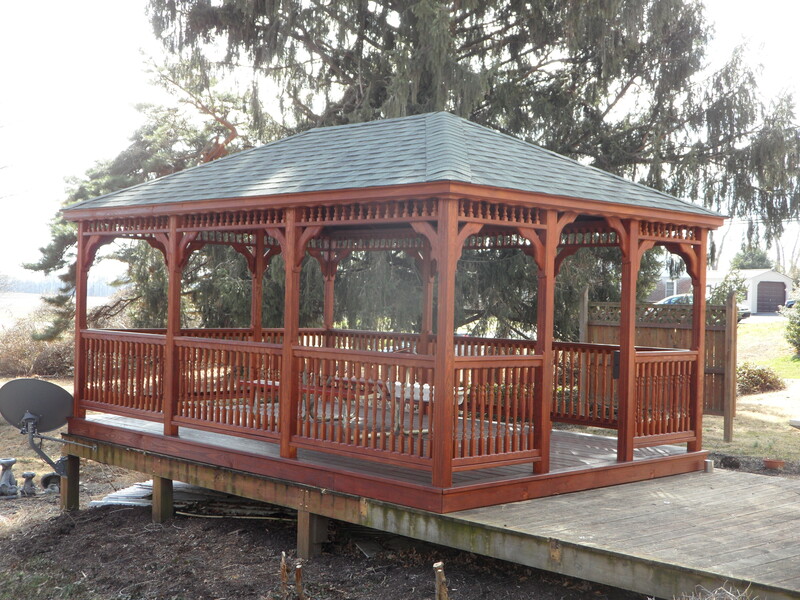 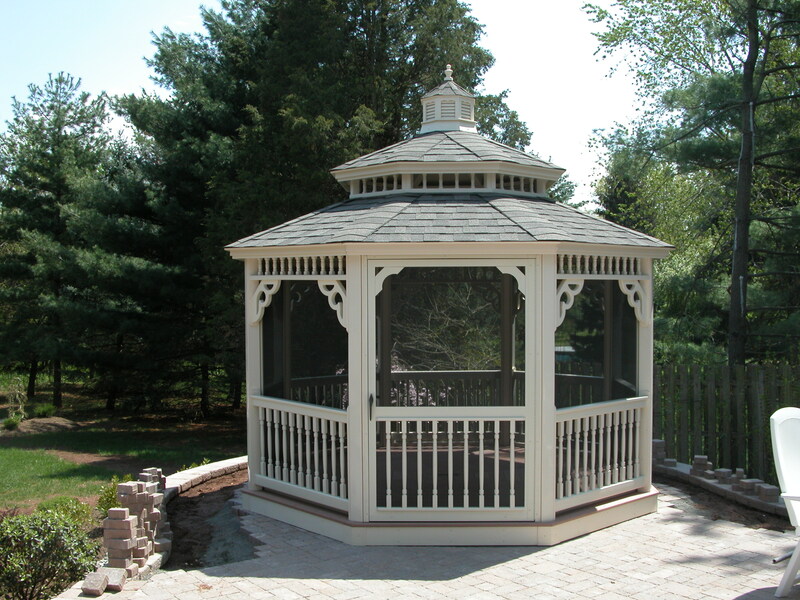 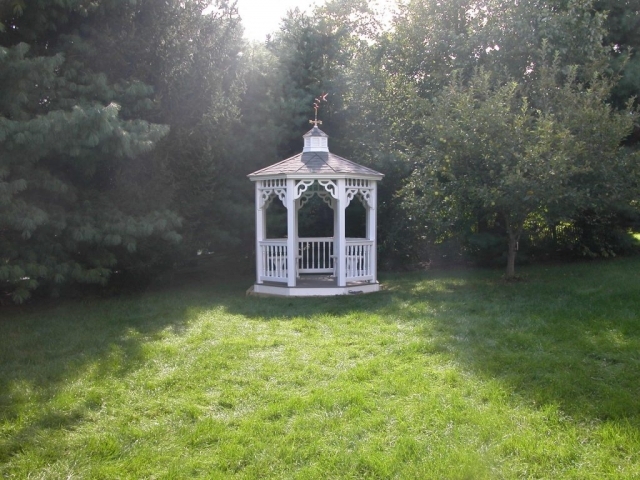 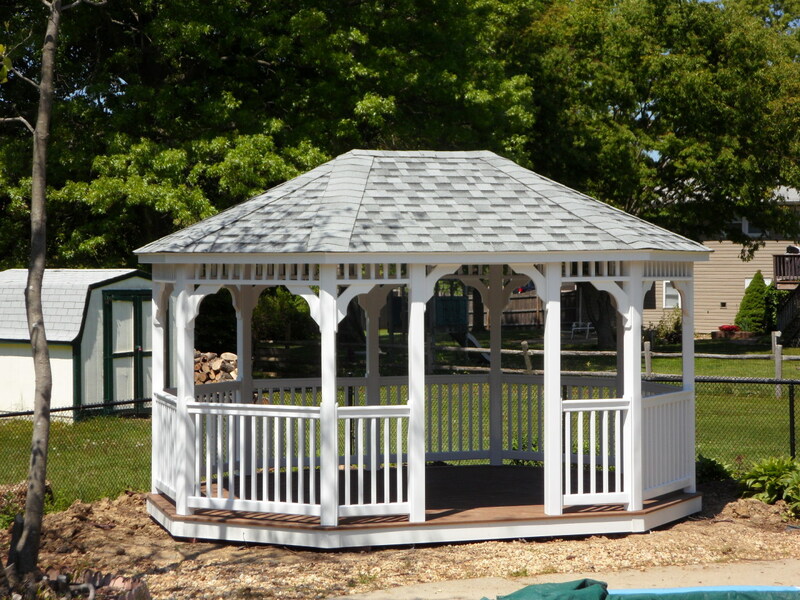 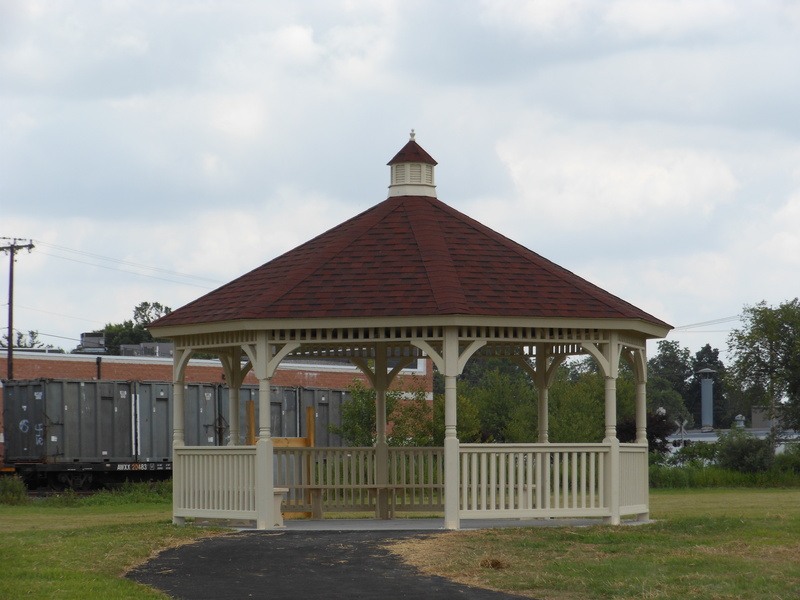 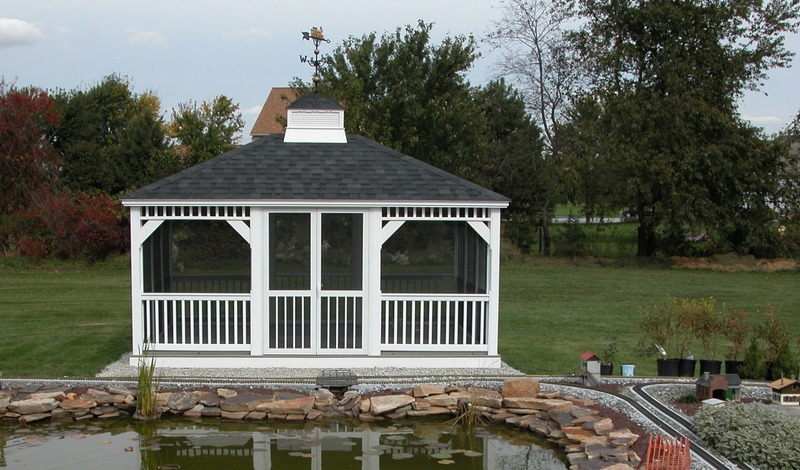 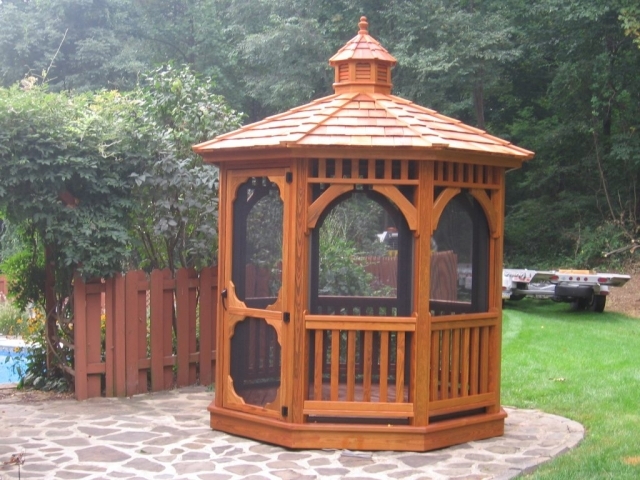 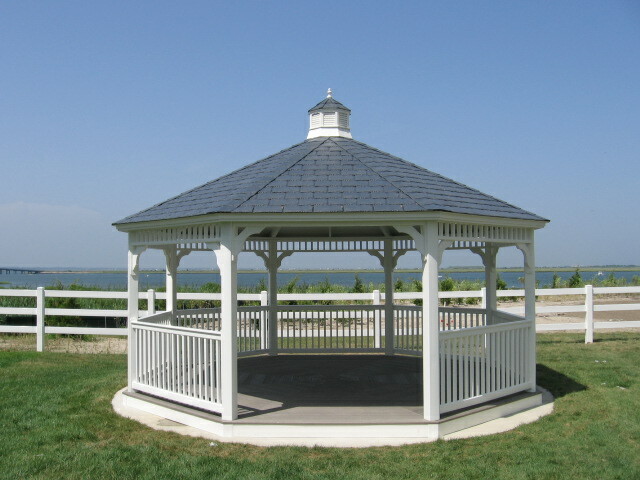 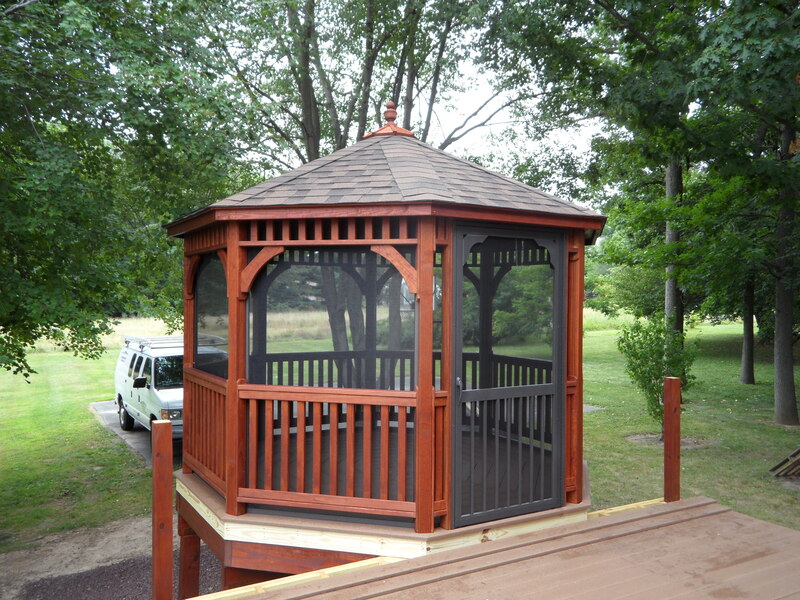 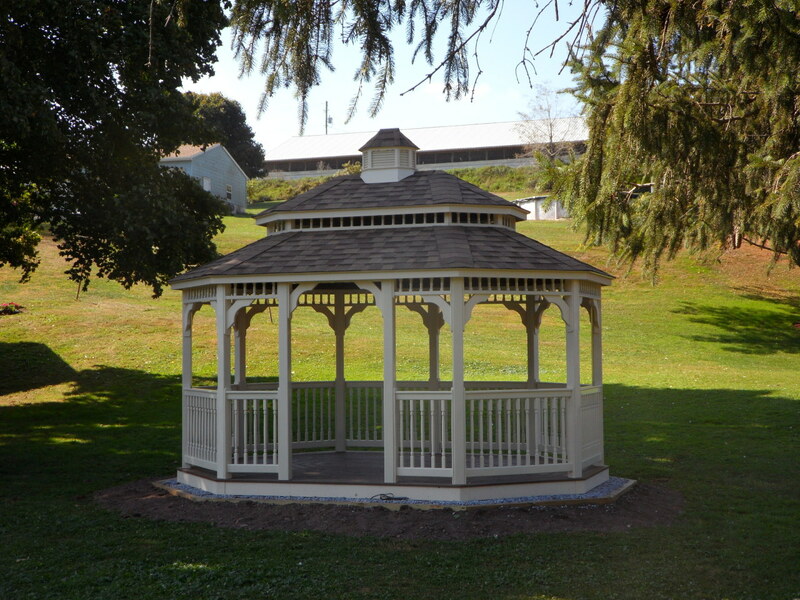 J&L Amish Depot Amish craftsmen create custom octagon gazebos that are hand-built to your specifications. 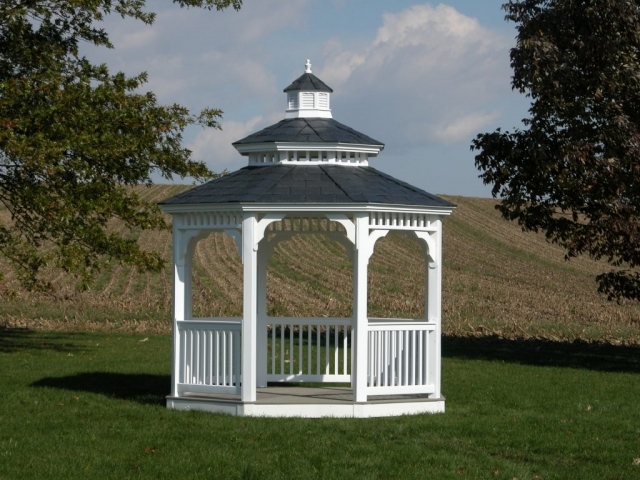 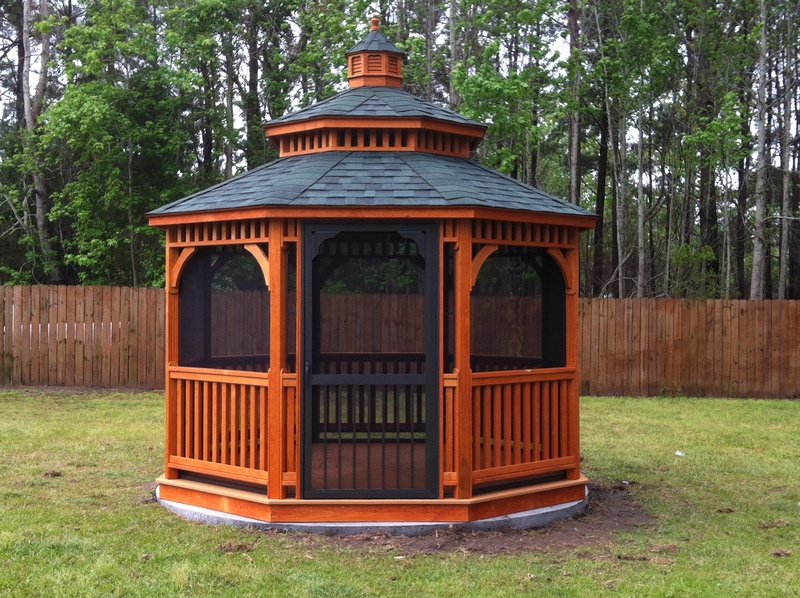 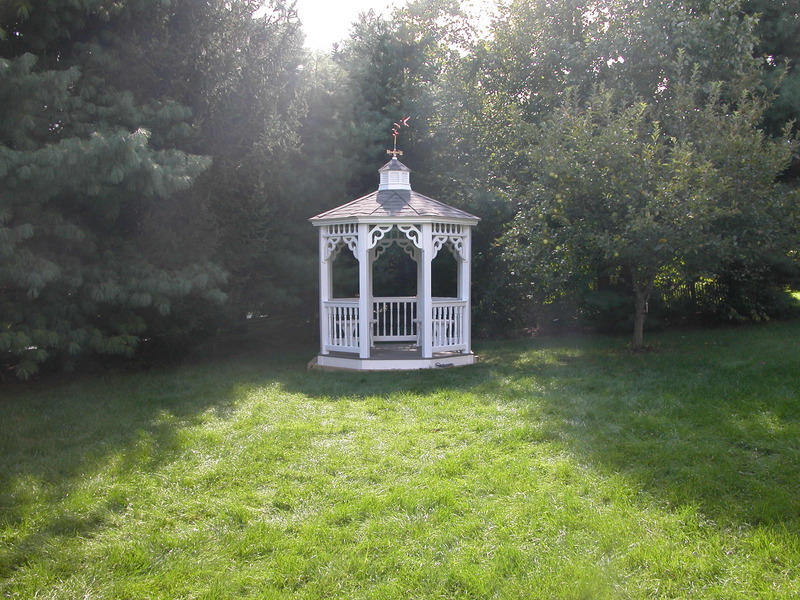 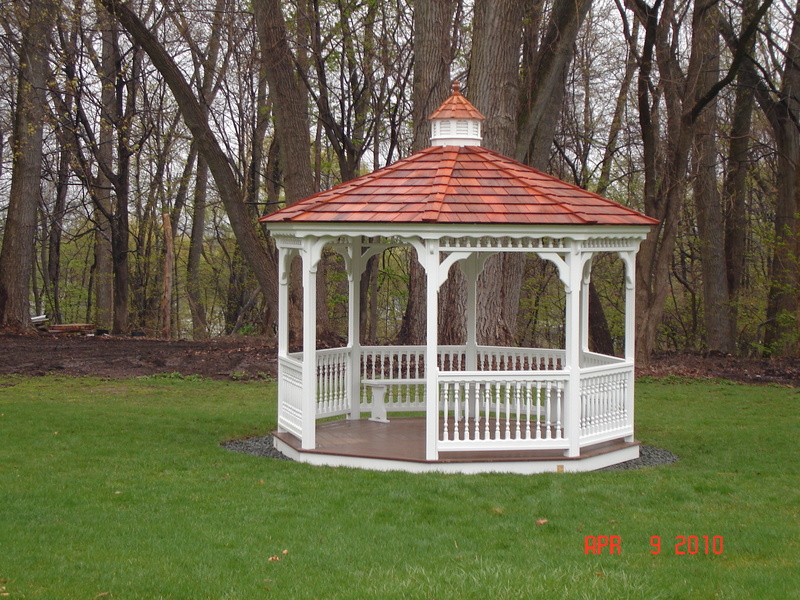 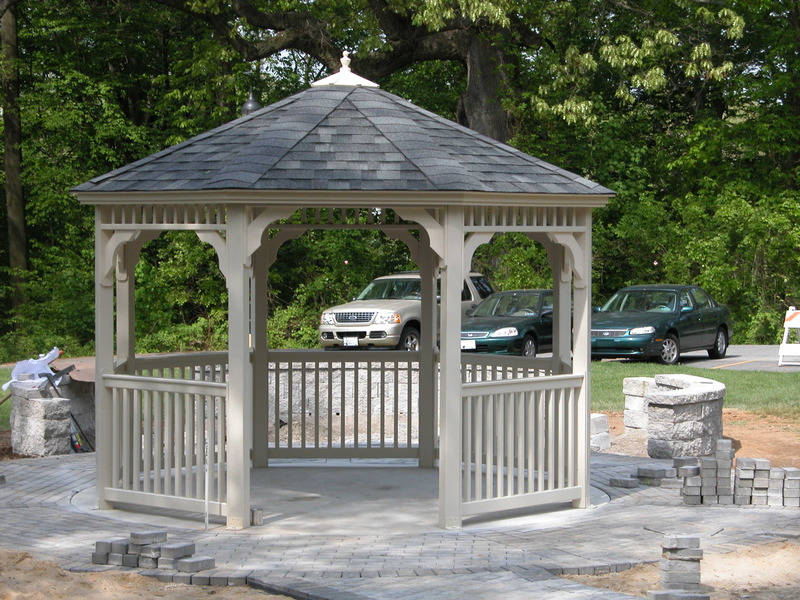 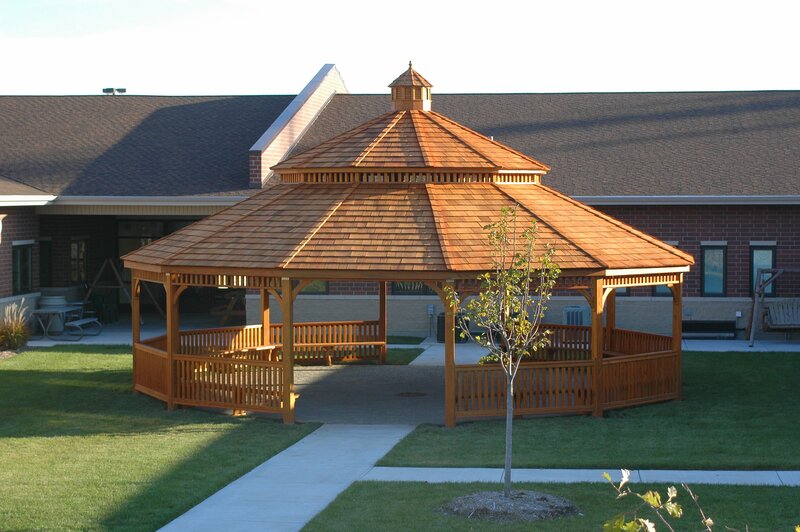 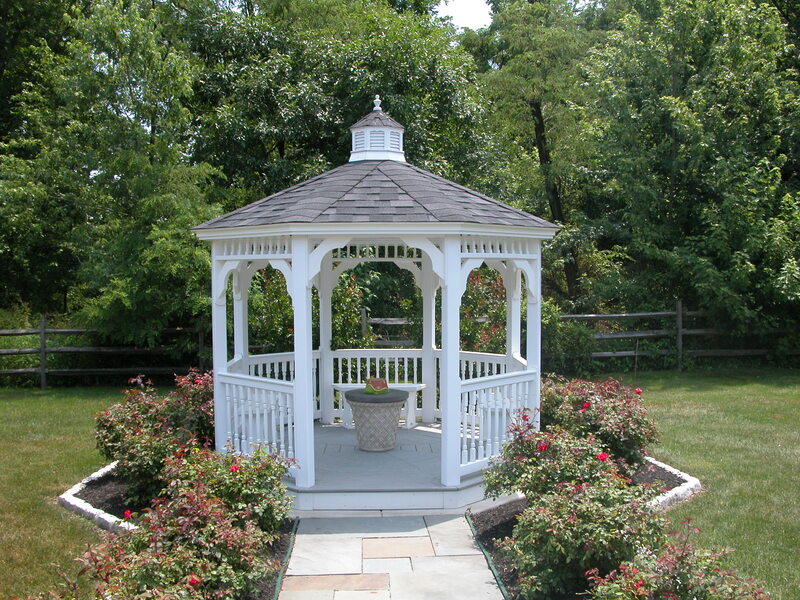 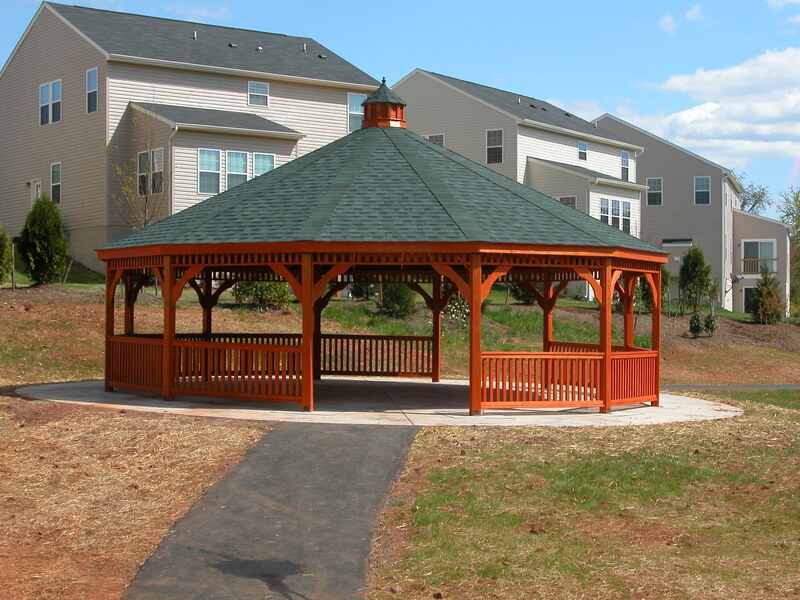 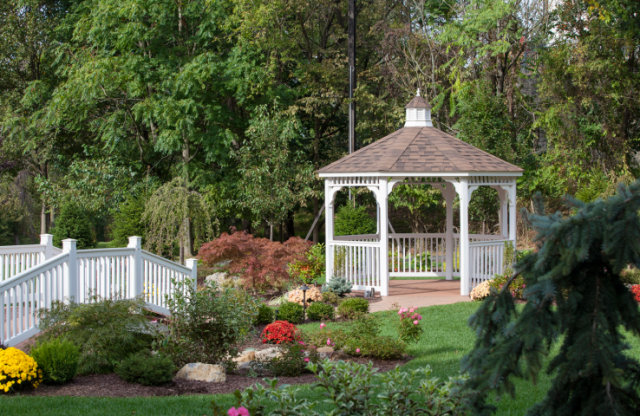 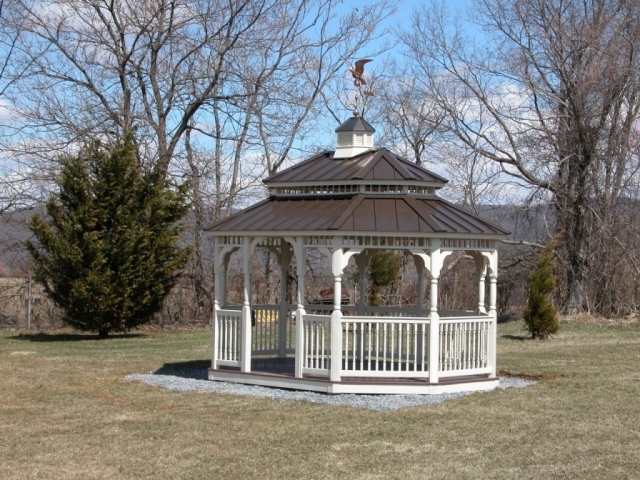 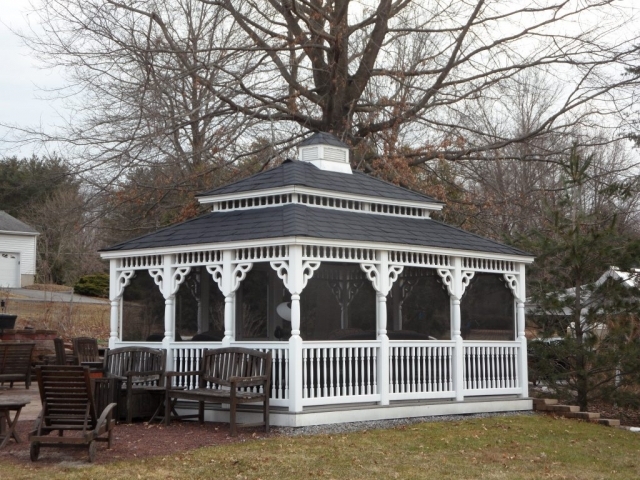 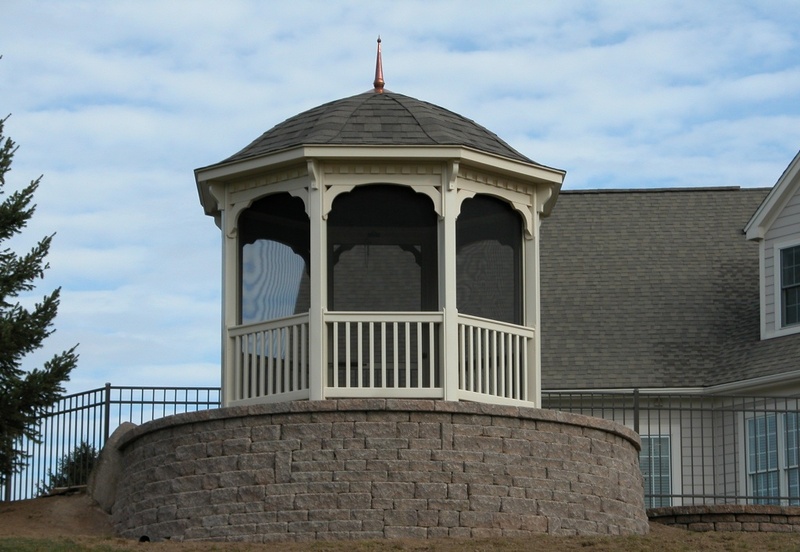 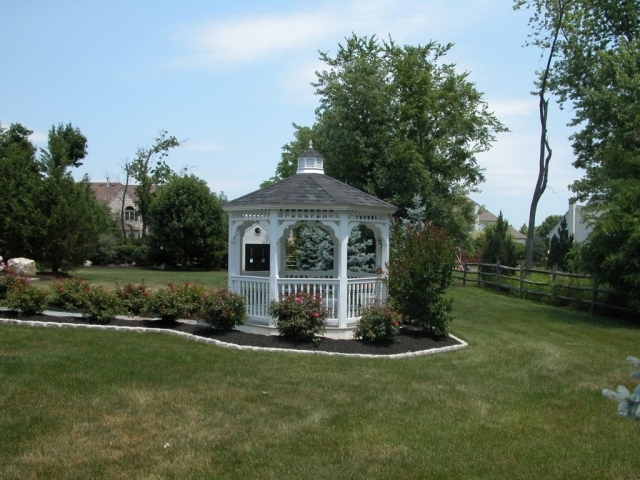 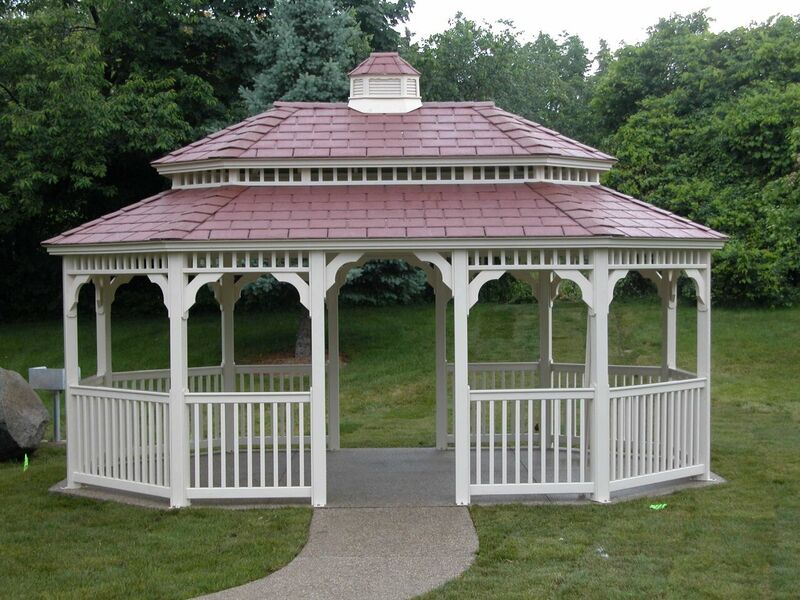 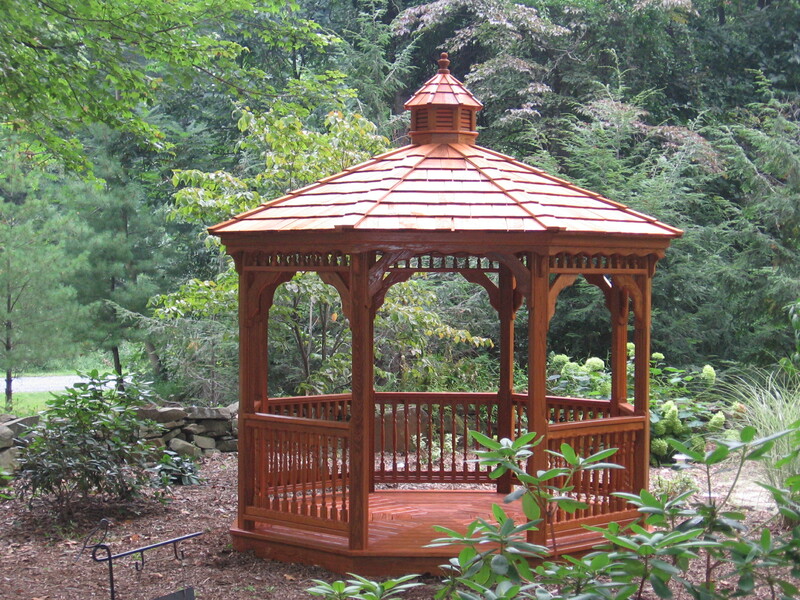 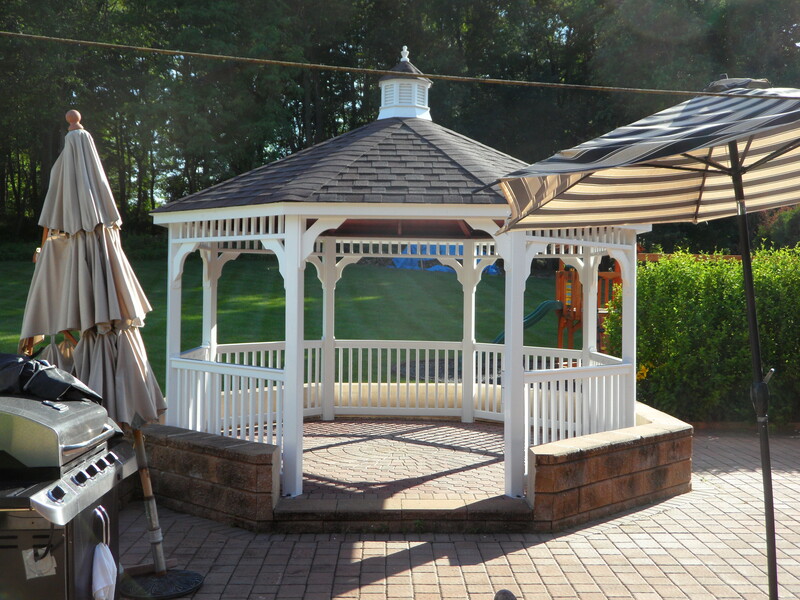 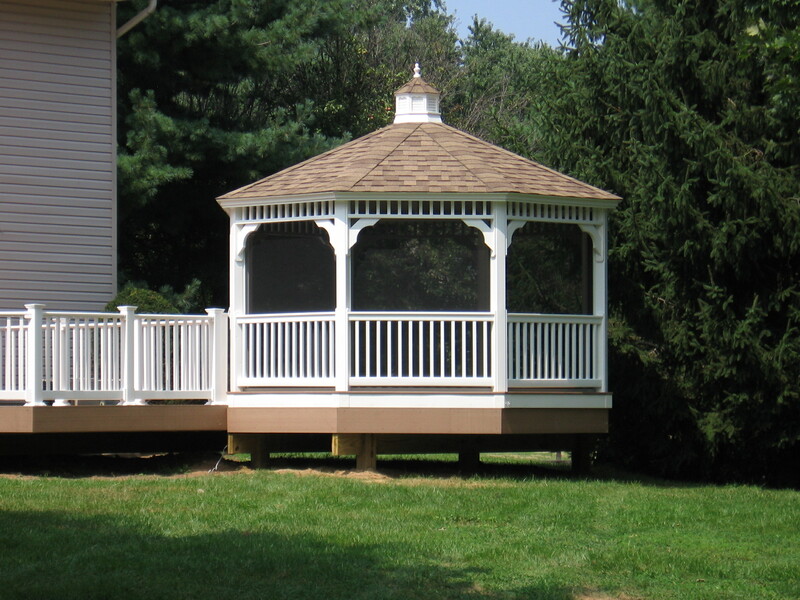 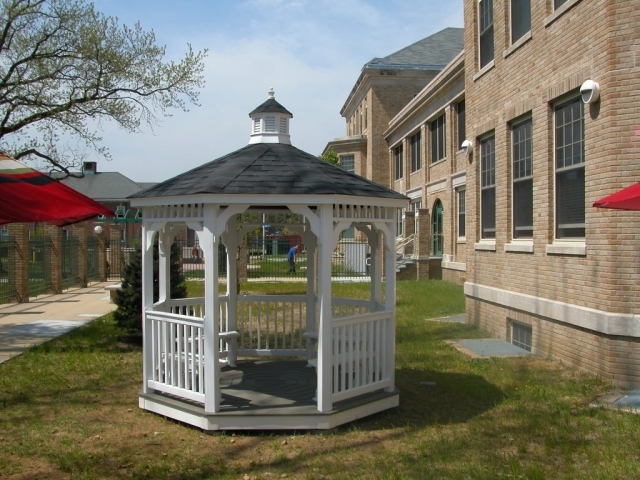 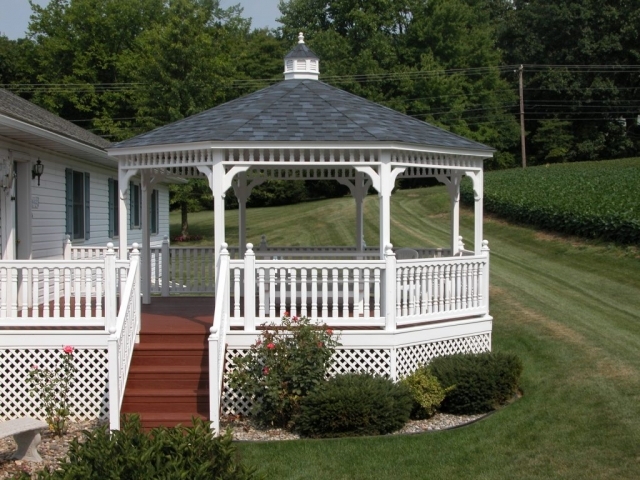 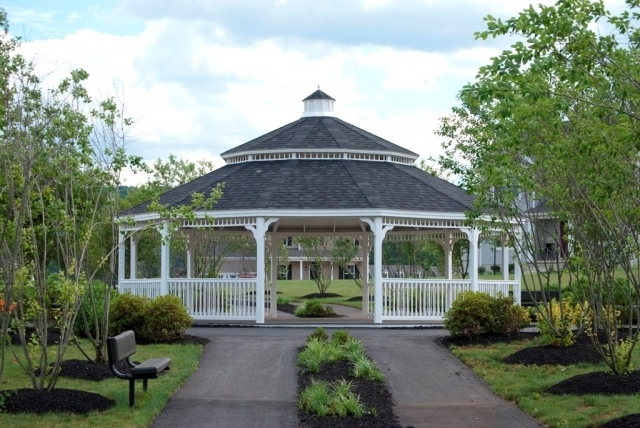 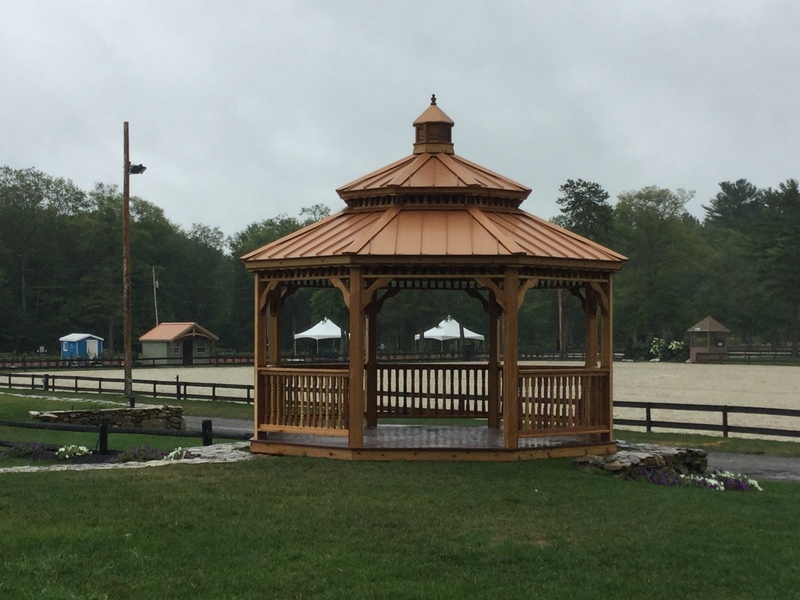 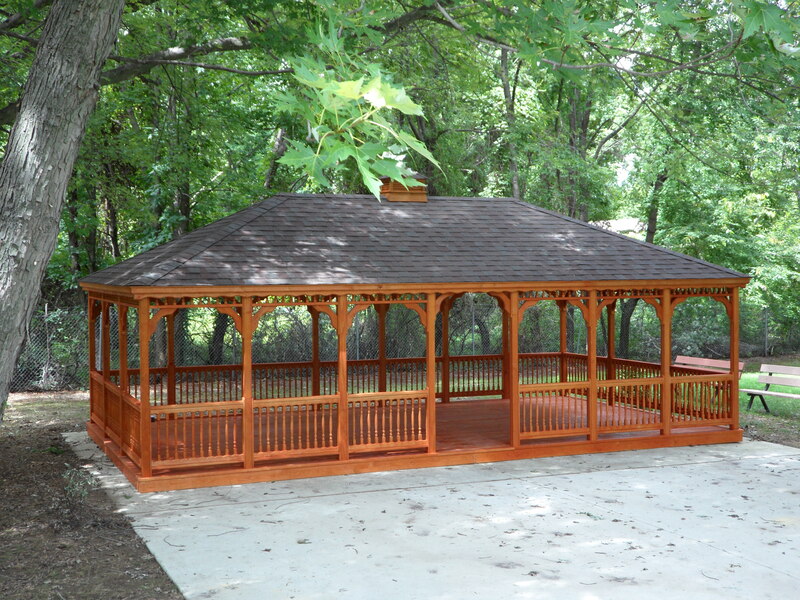 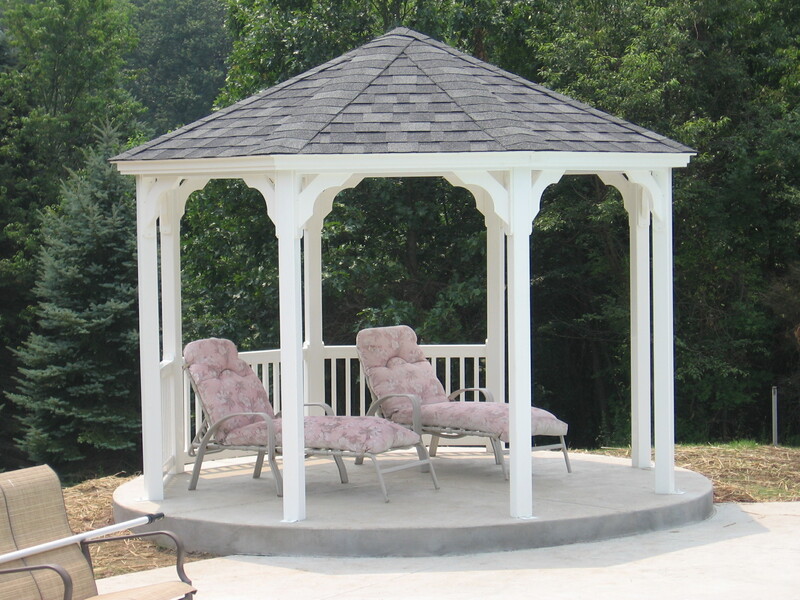 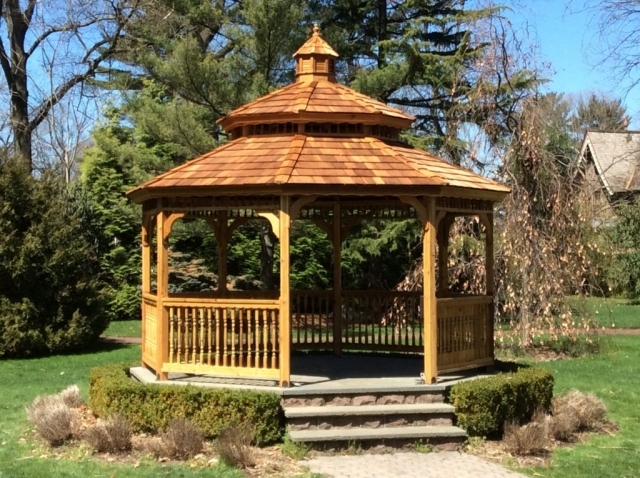 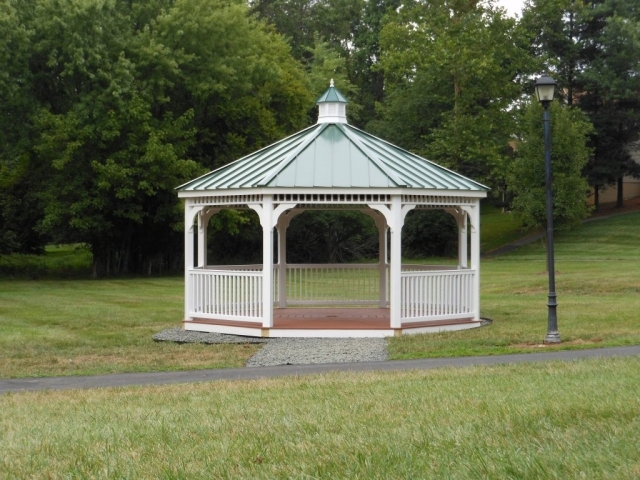 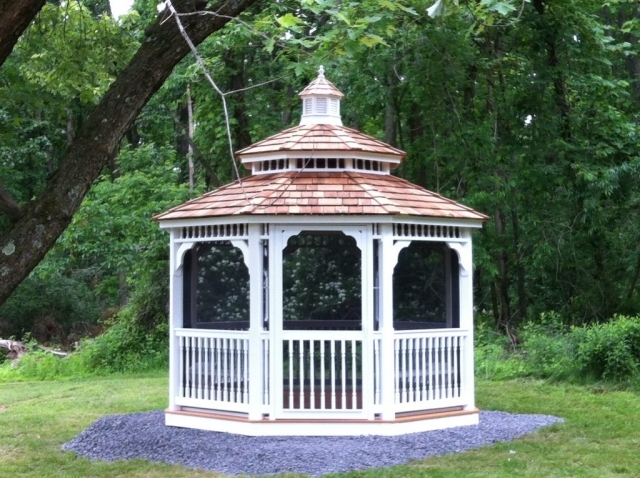 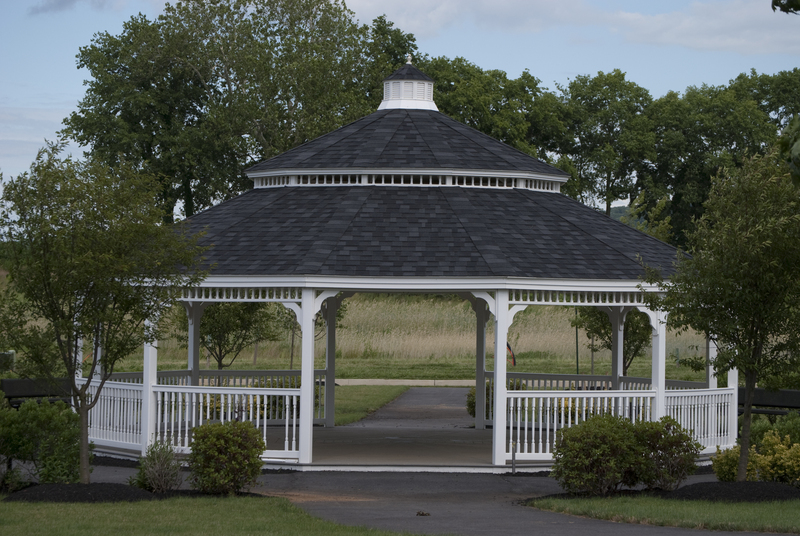 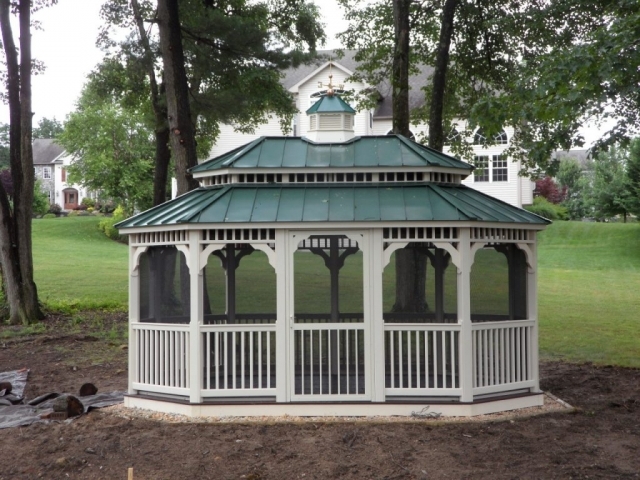 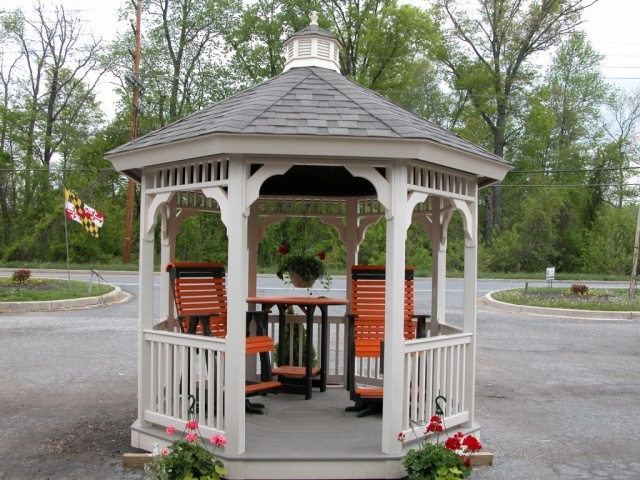 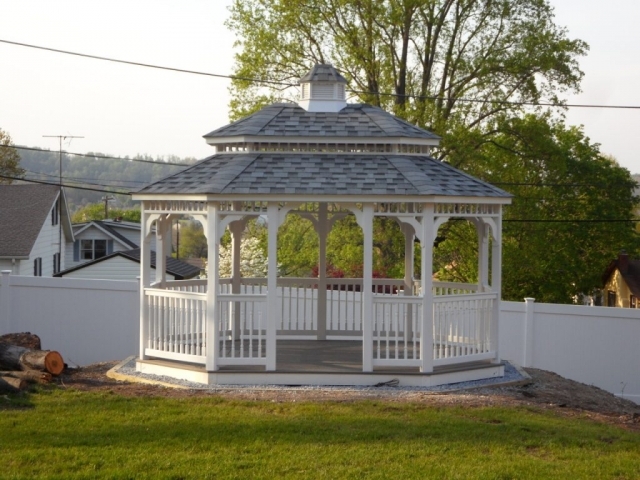 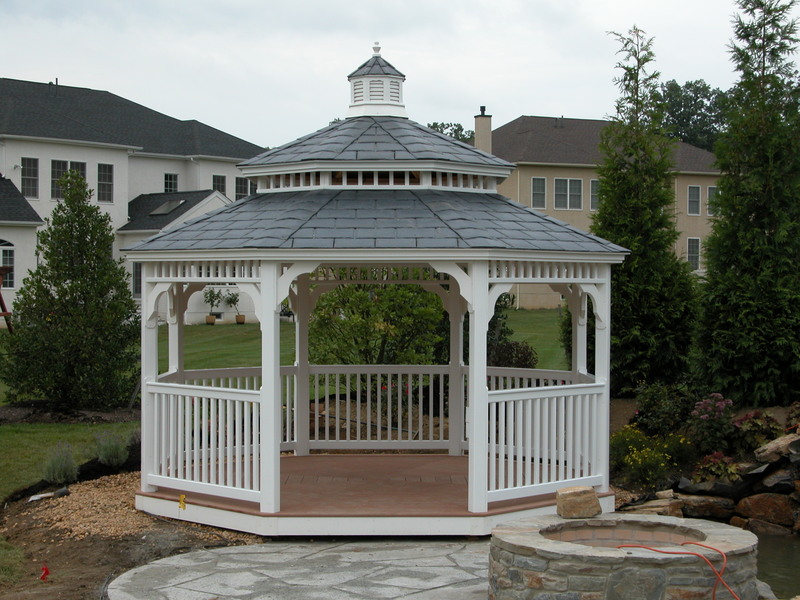 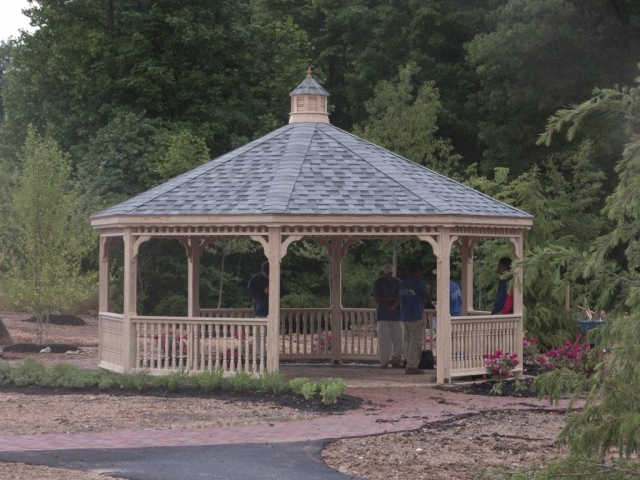 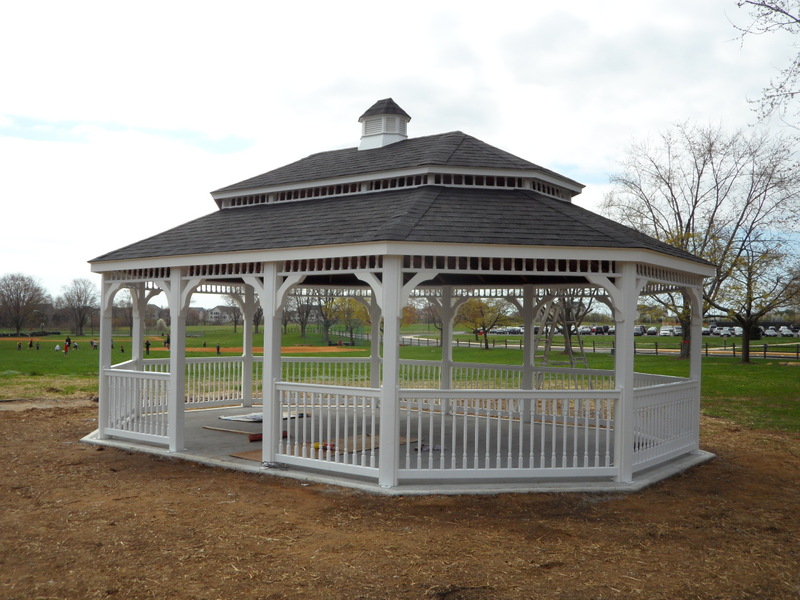 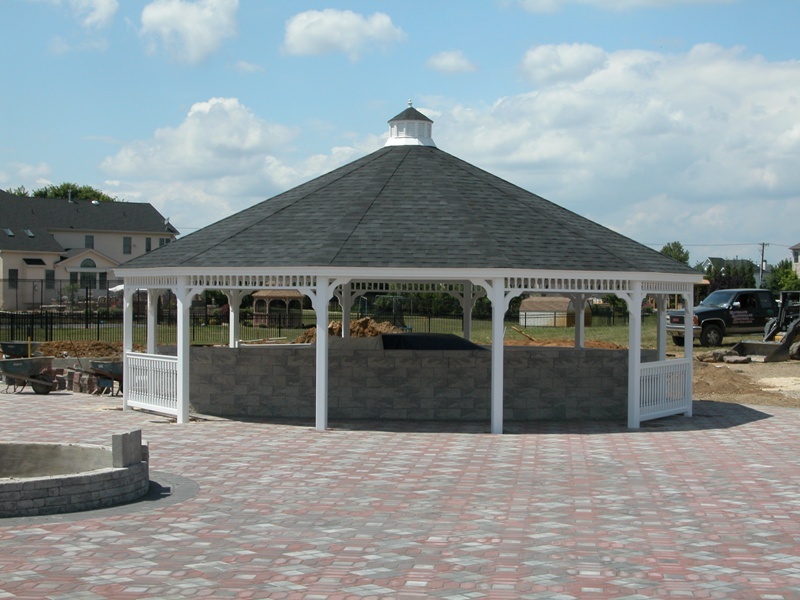 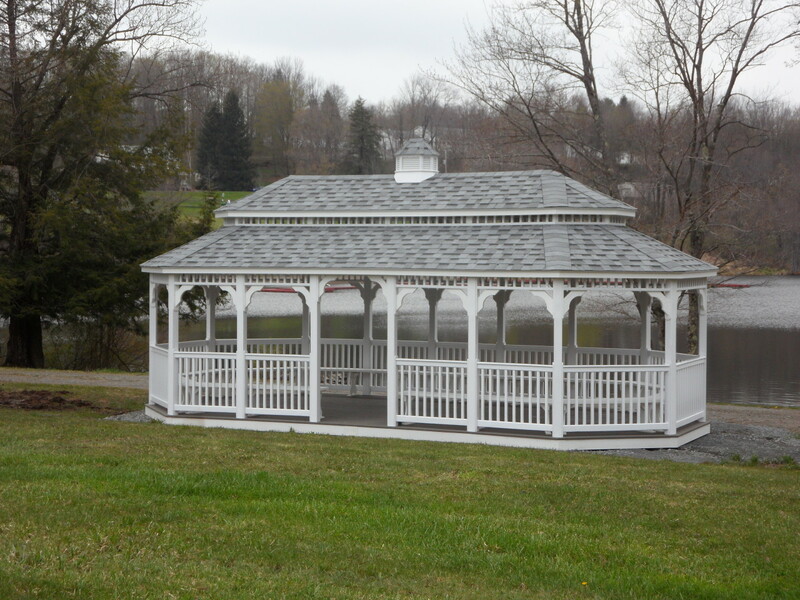 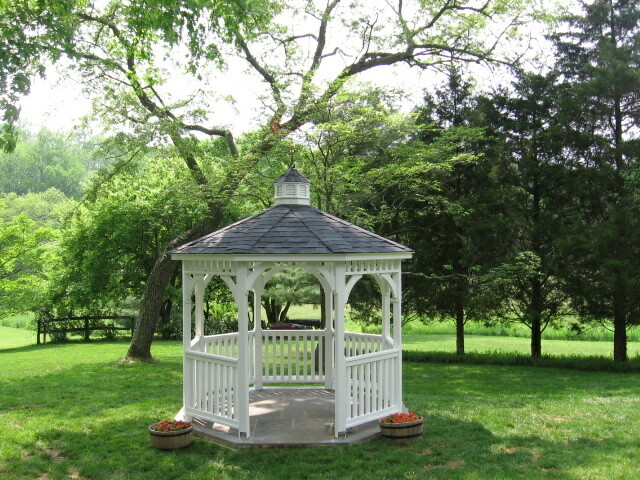 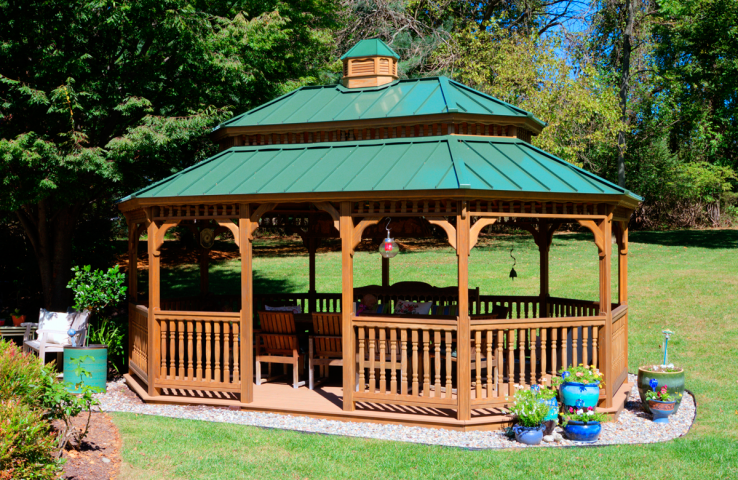 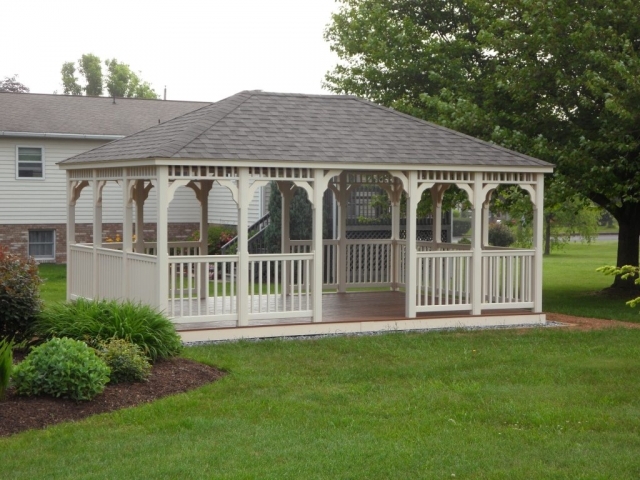 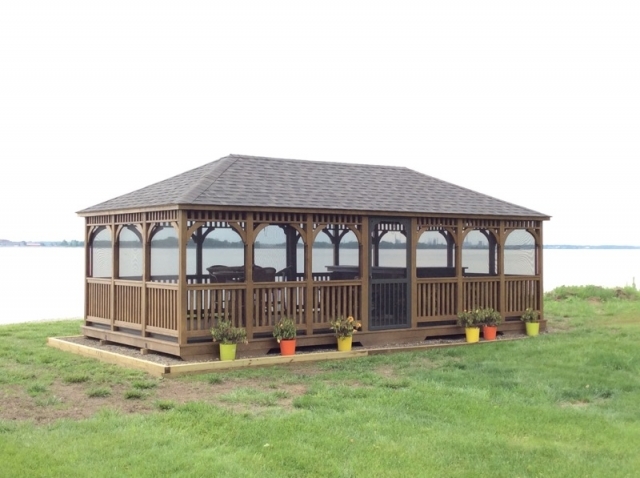 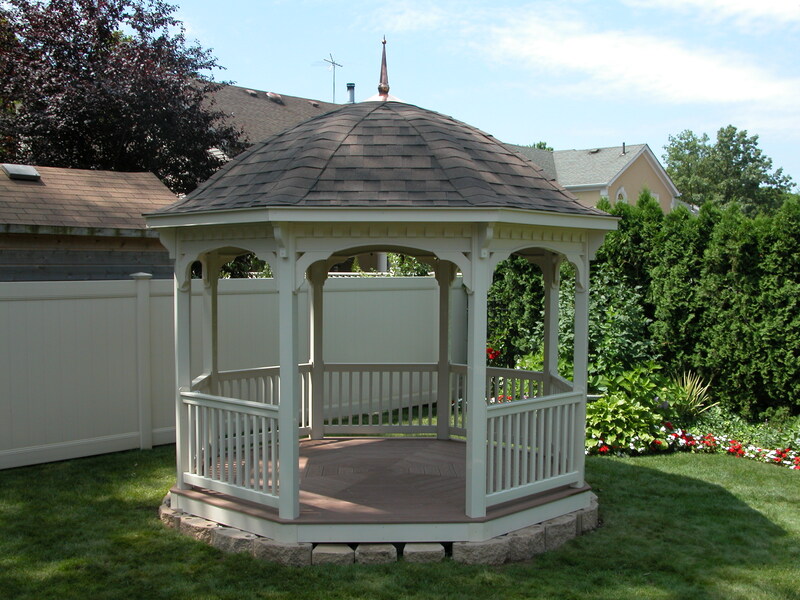 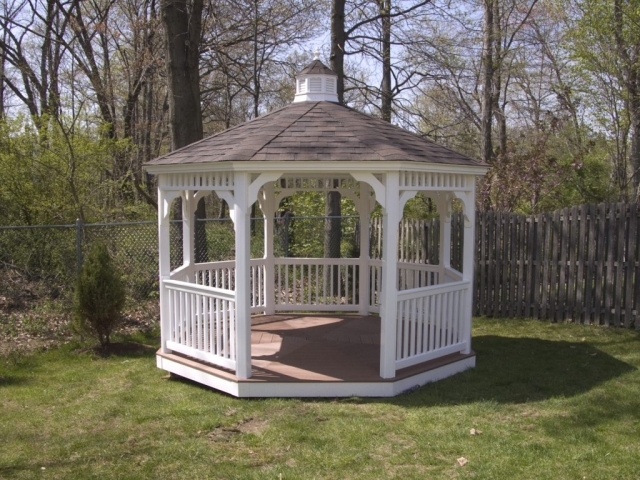 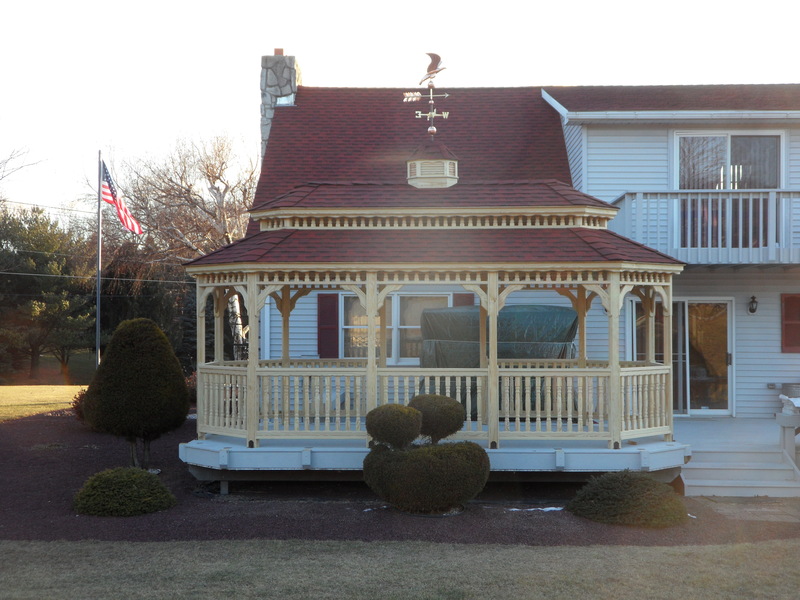 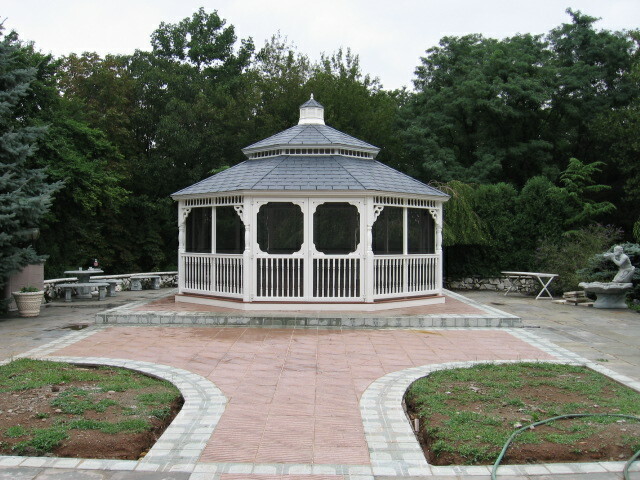 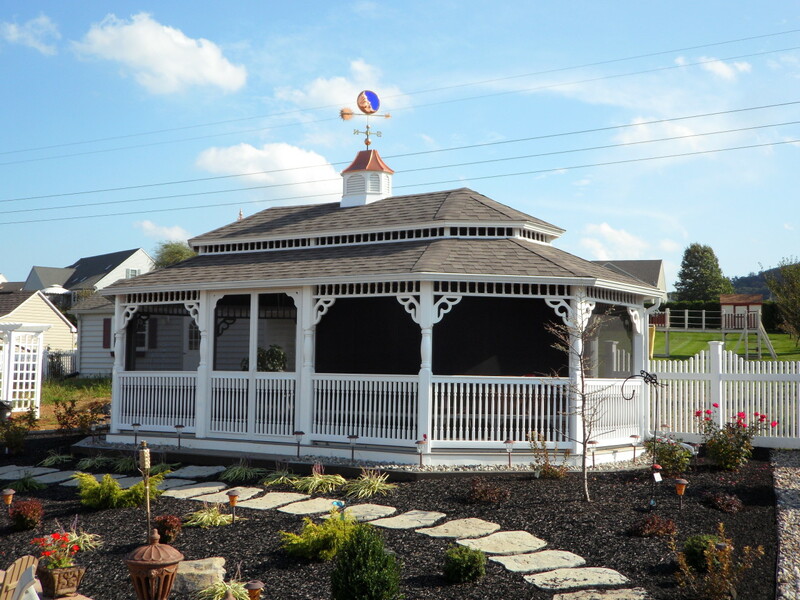 Our Amish-built gazebos can be customized using a variety colors, styles, and sizes. Visit our store to see our entire collection. 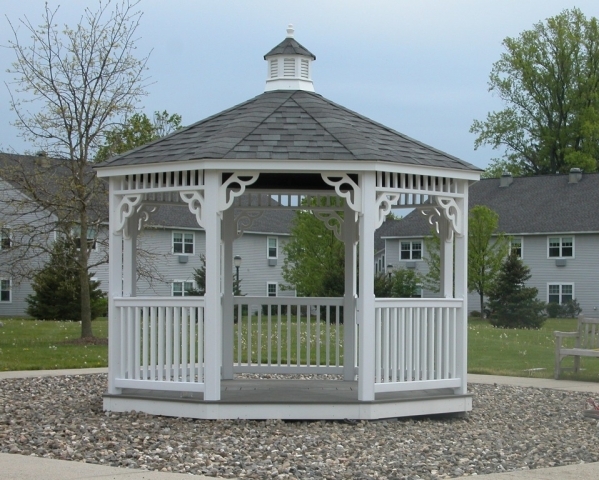 Our Amish-built, rectangle gazebos will turn any outdoor space into an stylish and economical addition to your property. 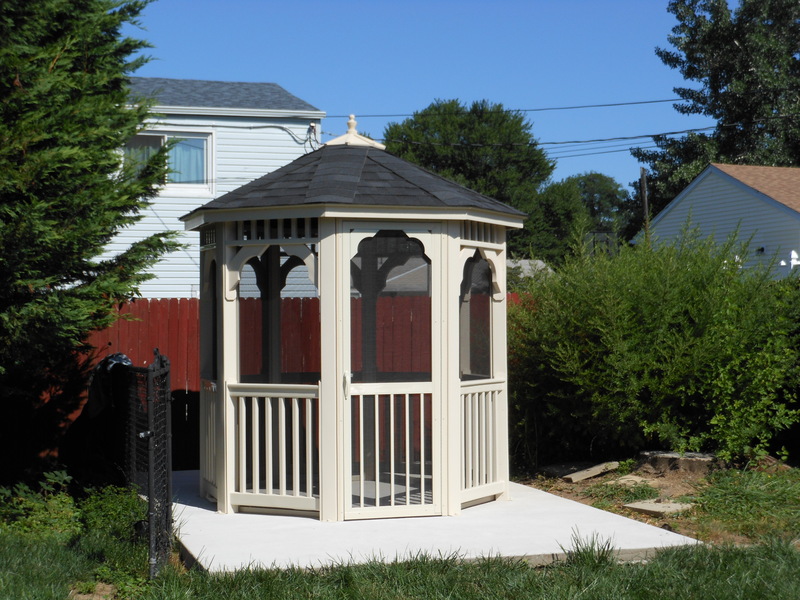 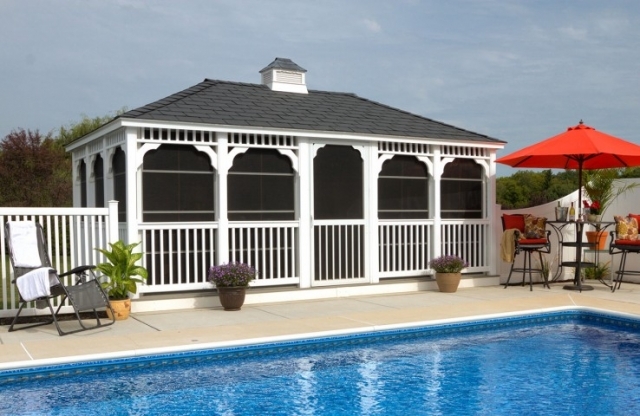 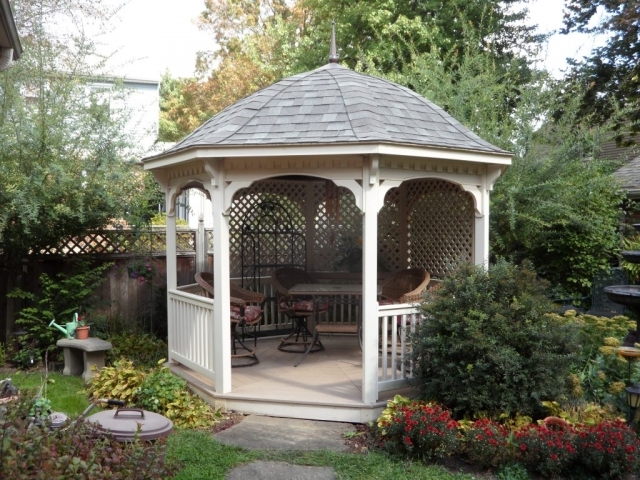 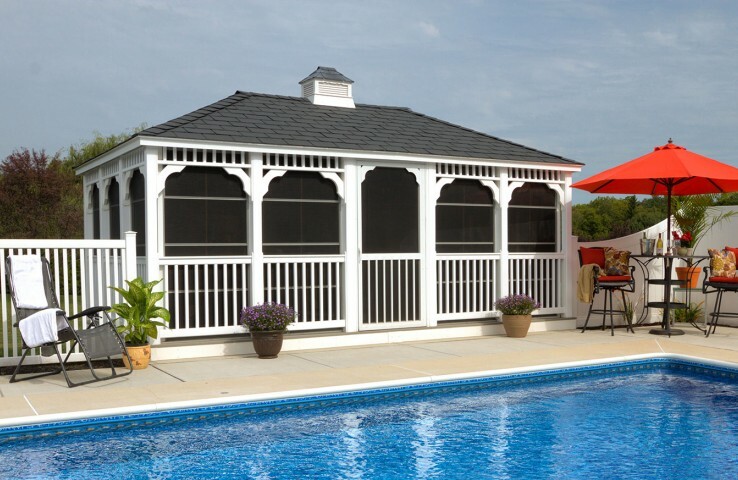 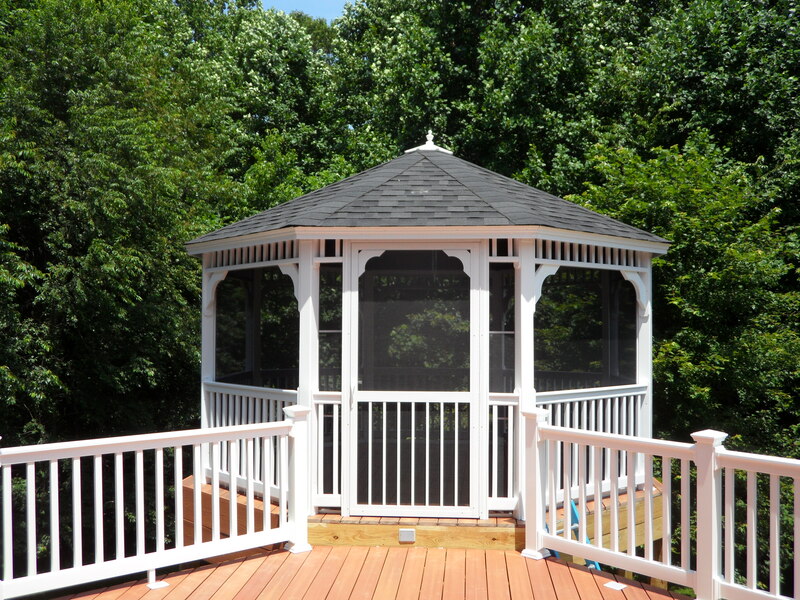 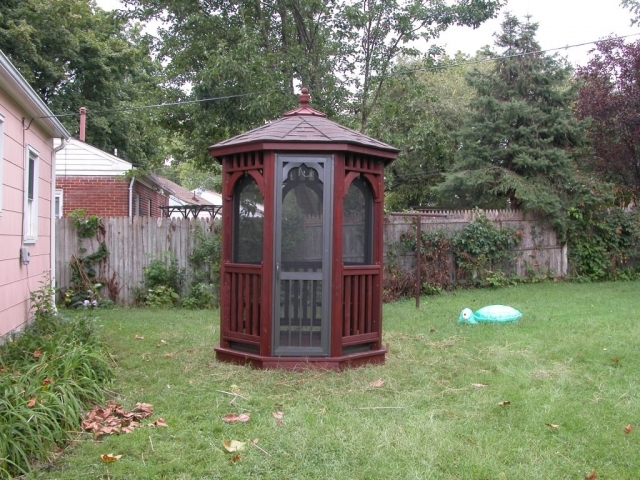 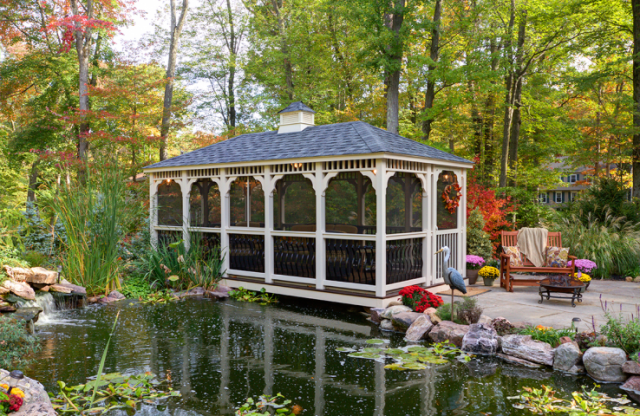 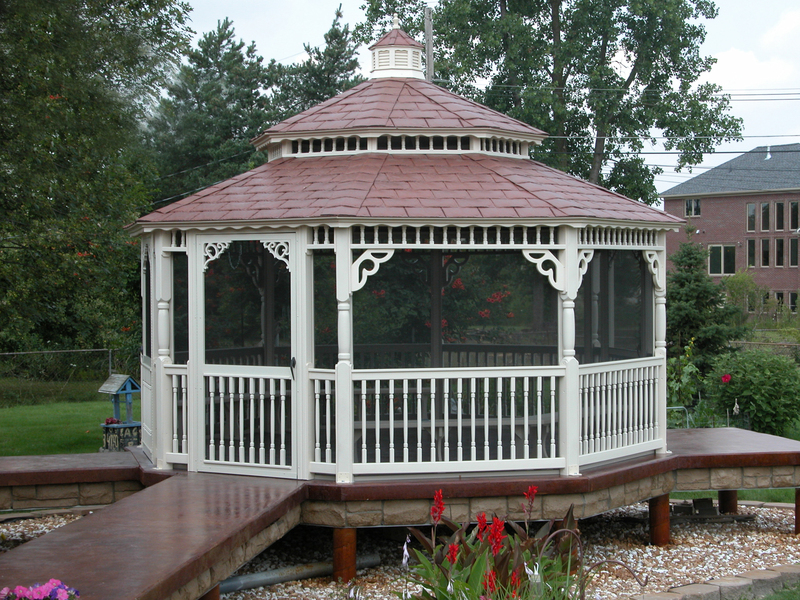 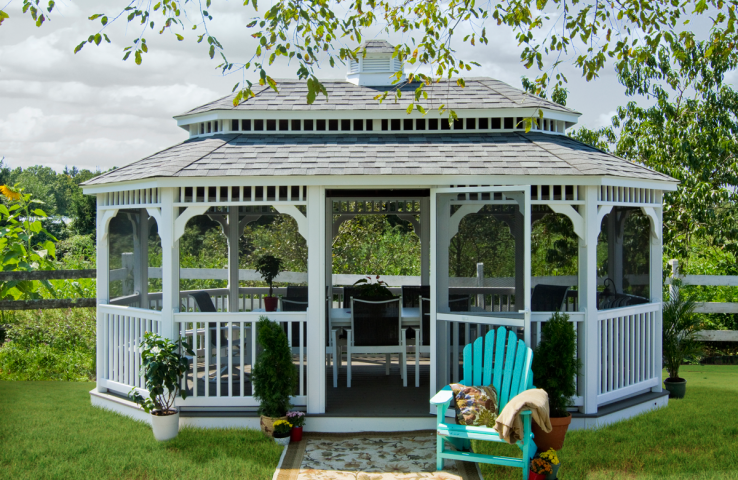 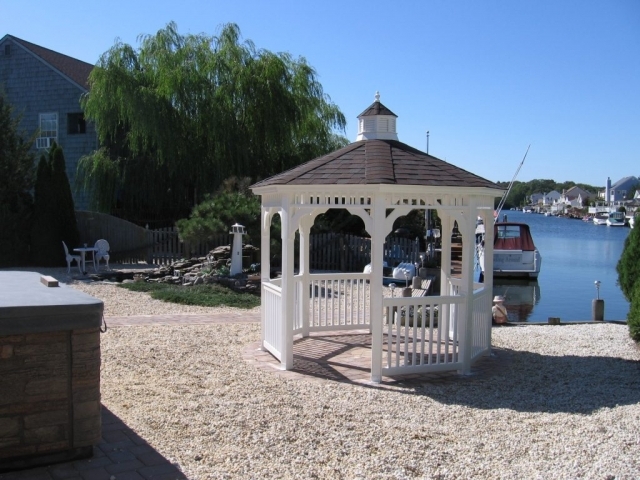 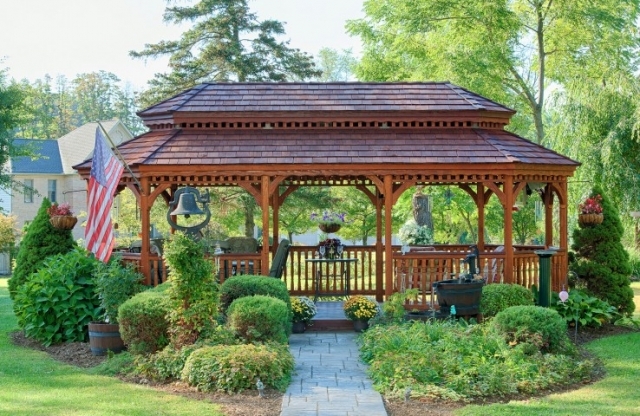 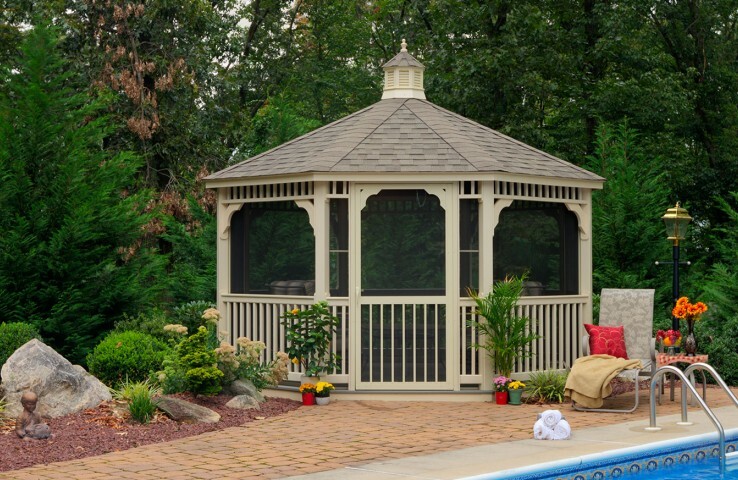 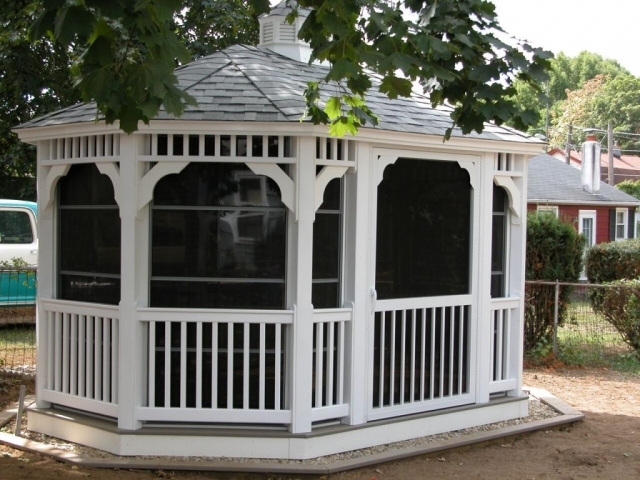 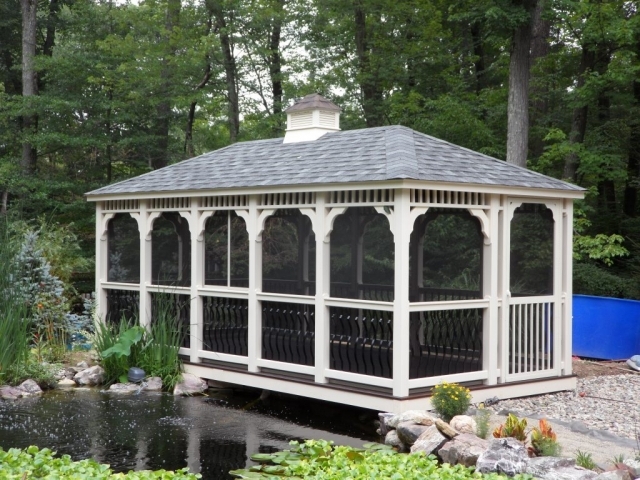 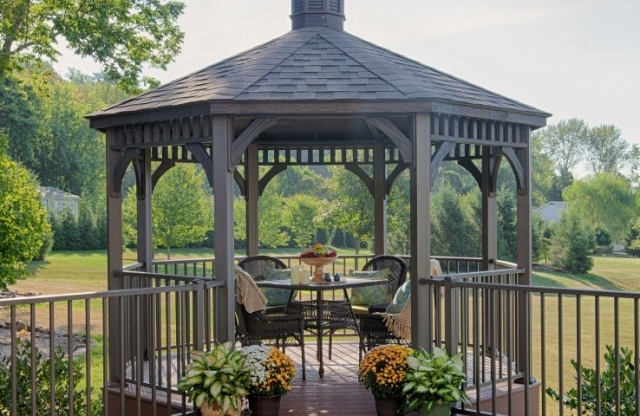 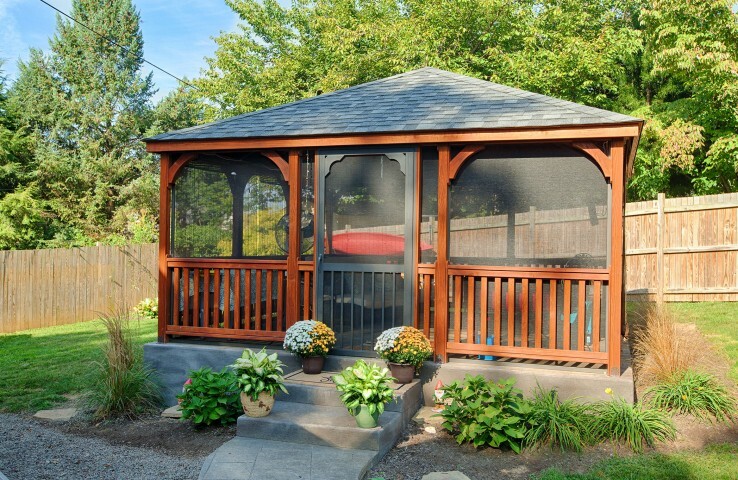 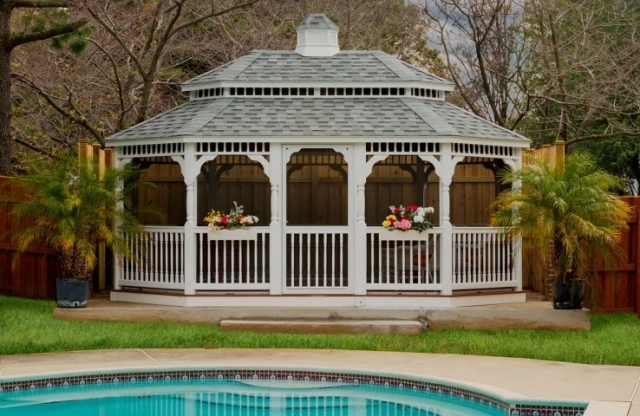 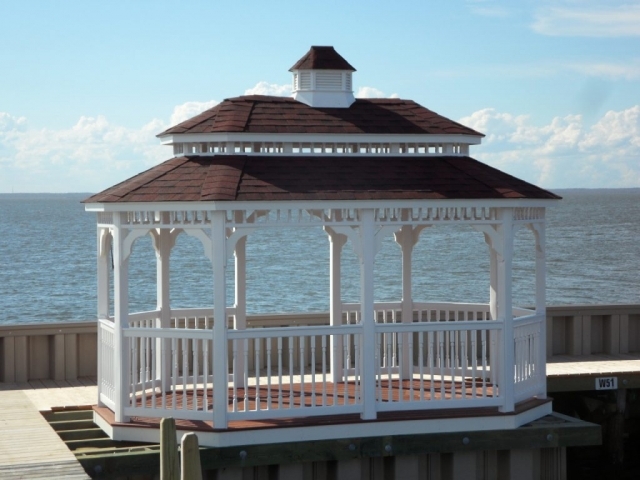 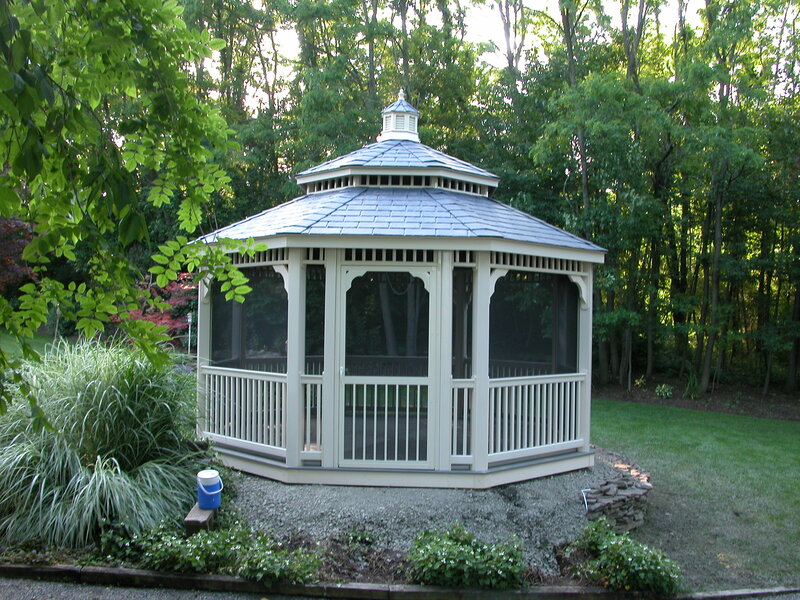 These quality, hand-built, durable gazebos can be customized to match your home and style. 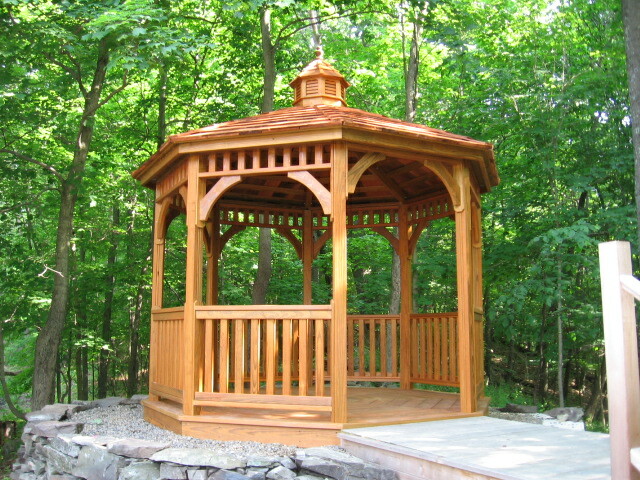 Our authentic, Amish-built dodectogon gazebos can be custom made to fit any backyard or budget. 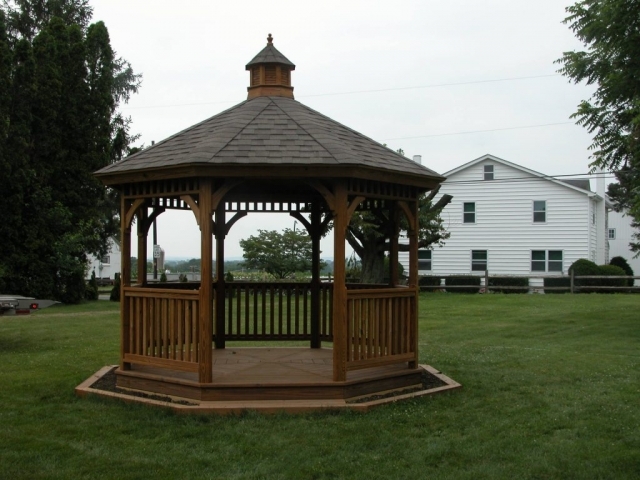 J&L Amish Depot craftsmen can create a gazebo that adds value to your property with quality and style that continues to look great for years. 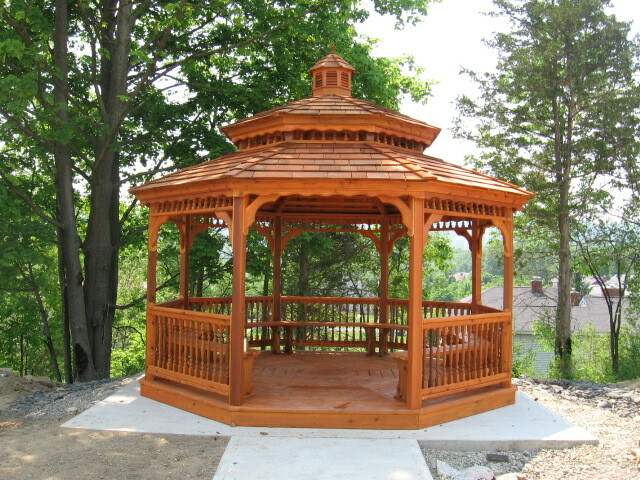 Our Amish craftsmen can create a custom log gazebo from hand-selected hardwood logs to create a classic, rustic look on your property. 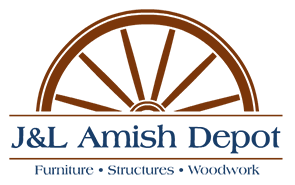 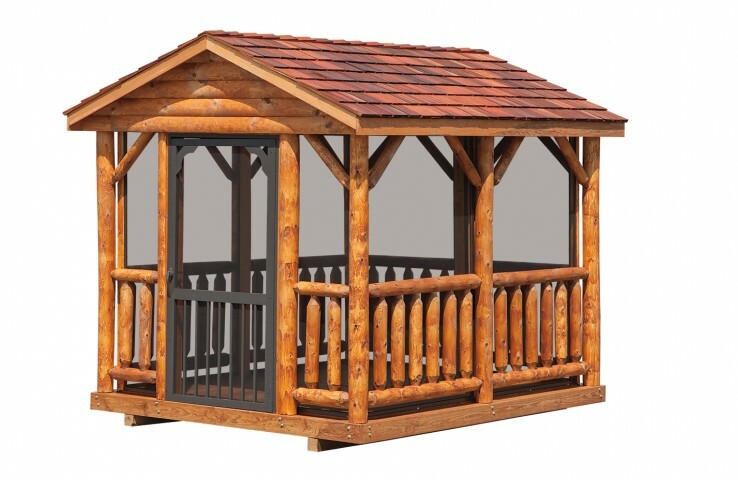 J&L Amish Depot builds durable, authentic Amish-made log cabin-style gazebos made to last for years.